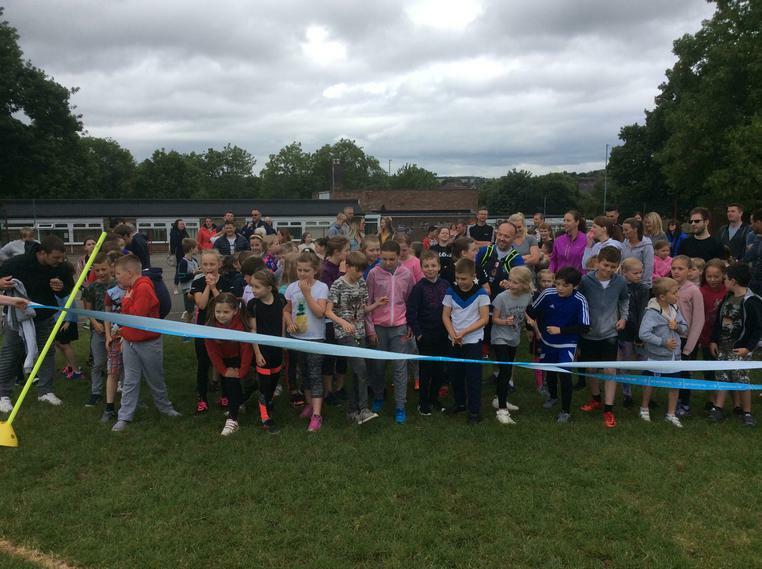 June 2018 - The Race for Life was a huge success raising lots of money and encouraging families to run and achieve together. 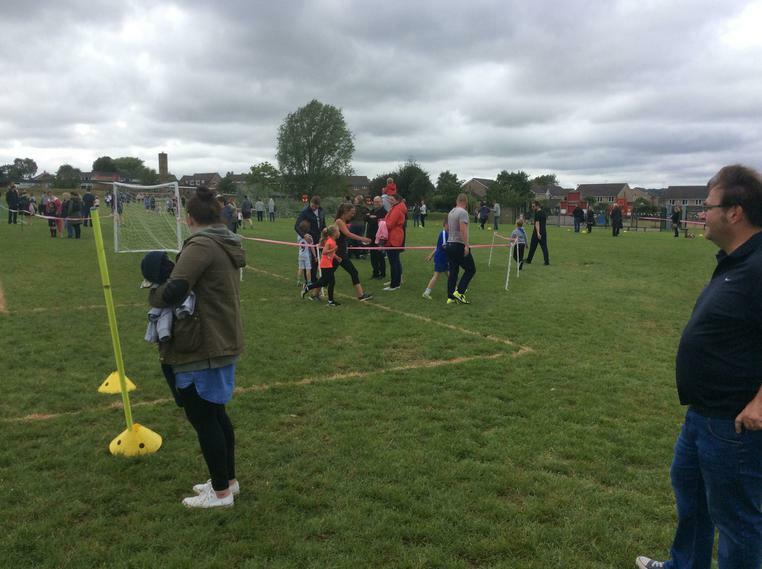 Thirty children attended this event where they would take part in a number of races against other schools or some highly competitive water polo. All children in attendance were excited to get in the immaculate pool at Holt Park. In the water polo we started off with a game Vs Adel Primary School. We started the game really well making some incredible passes and took an early 2-0 lead. For the remainder of the game we controlled possession and scored a 3rd and 4th goal. Adel then gathered themselves and had two good chances which were both really well saved by Rory in goal. Westfield then took further control and George scored a further 3 goals before Isla added her first and we eventually ran out comfortable 8-0 winners. 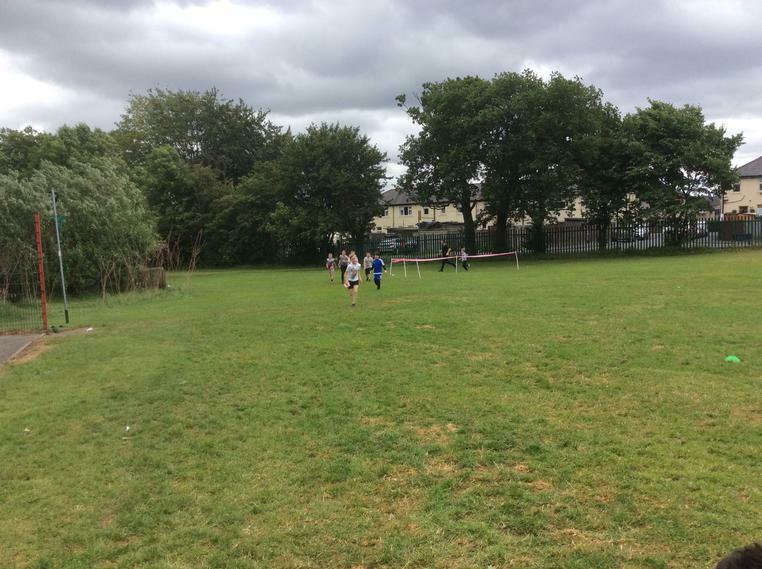 In our second game we took on Holy Trinity and the game got very heated with both teams being very competitive. Our skill shone through in the end coming out of the tough game with a 4-0 win. Our next game saw us take on St Margaret's and again we started well with George winning an early race to claim possession. Both teams had chances and once again Rory kept the opposition at bay with some amazing saves. With pressure from St Margaret's mounting Rory was eventually beaten twice in quick succession as St Margaret's took a 2-0 lead. George managed to pull a goal back late on but it wasn't enough and we suffered our first defeat of the festival. Going into the last game against Ireland Wood the team knew that a win was required to finish top. Again it was a very competitive game with chances for both teams. In a tactical change Isla was playing well in goal keeping the opposition at bay but unfortunately our attackers couldn't break down the oppositions defence and the game finished 0-0. Whilst the water polo was taking place in the deep end a number of different race were taking place in the shallow end. 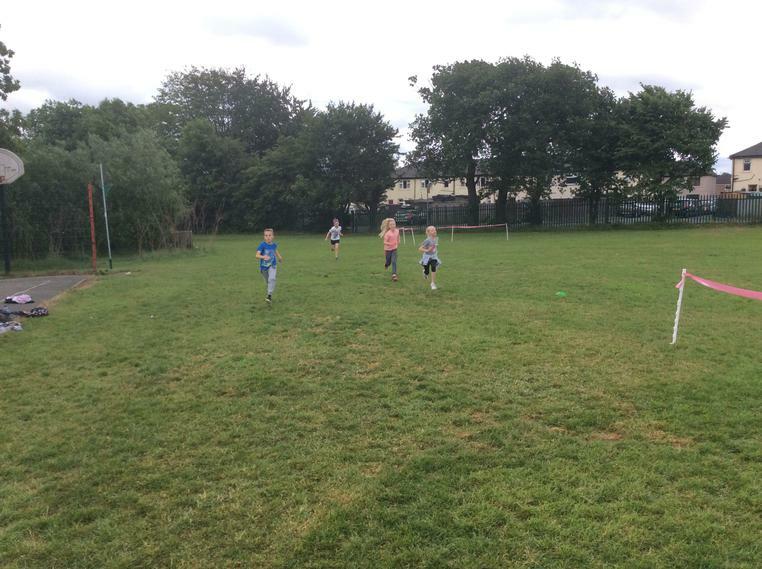 The first races were breast stroke and a hopping race. Jack and Spencer tool part and both put in spectacular performances finishing first. Ruby the took part in a hopping race and flew across the pool to secure second place. Following these races it was Jack Emsley's and Kyle Pattison's time to shine in the front crawl. JAck tried his hardest but struggled against some tough competition. But Kyle was a real success story he started slow but finished well securing a fourth place finish. Shaun then finished third in a backstroke race. Up next it was kicking legs only race, Ayman took part for Westfield but due to an accidental collision with another racer only managed a third place finish. In the same race Spencer put in an outstanding performance finishing in first place! Jack the participated in a breast stroke legs race and found it tough racing against boys much bigger than himself. He stuck at in though and secured an impressive second place. 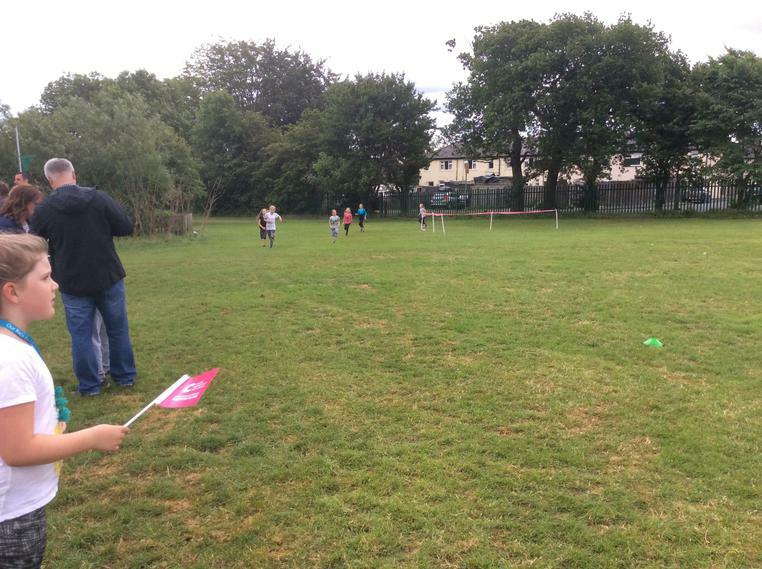 Ruby then took part in her second race, the blowing the ball race. She began being extremely caution with the balls but as the race progress became more comfortable and in a tense finish secured second place. Ayman and Owen then took part in seperate races both securing first place finishes, Ayman's by a country mile. Shaun then secured a 4th place finish in a tough race. A number of other races took place with memerable performances from Evie who finished 3rd in a front crawl and Jack Emsley who secured a 4th place finish in the gliding race. The overall standings were read and we secured a joint second place finish in the water polo and in the races we finished fourth. Throughout the event children from Westfield competed to the best of their ability and showed great sportsmanship, once again representing the school with pride. 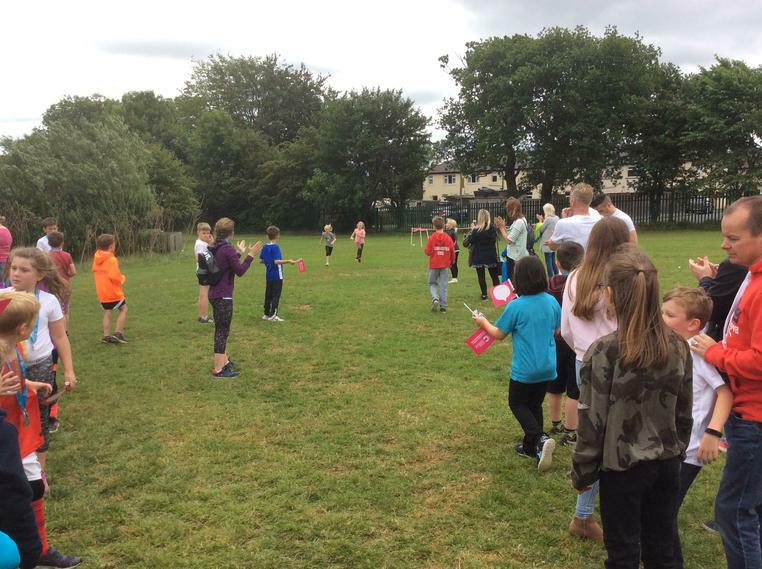 Everyone arrived at Horforth High school and began to practise for their races. It was an amazing sight seeing the children so excited to participate in all their races. 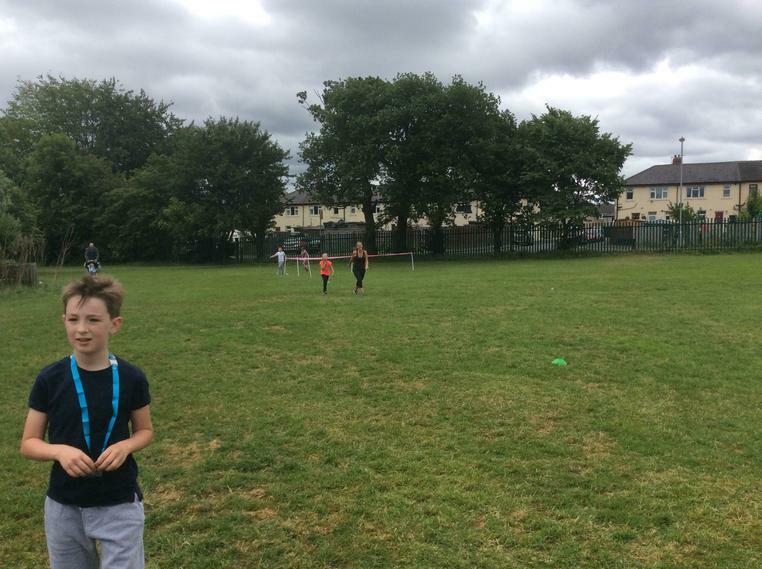 The event was made up of three schools Yeadon Westfield Juniors, Rawdon Littlemoor and West End. 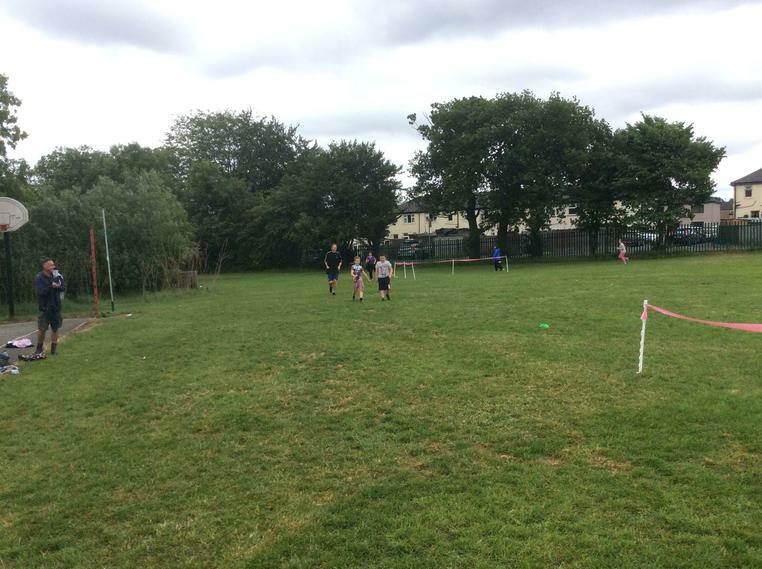 The first race was the boys obstacle relay. Competing for YWJS was Olly, Coby, Thomas & Harvey. They were quick to complete the race finishing in 2nd position behind Rawdon Littlemoor. 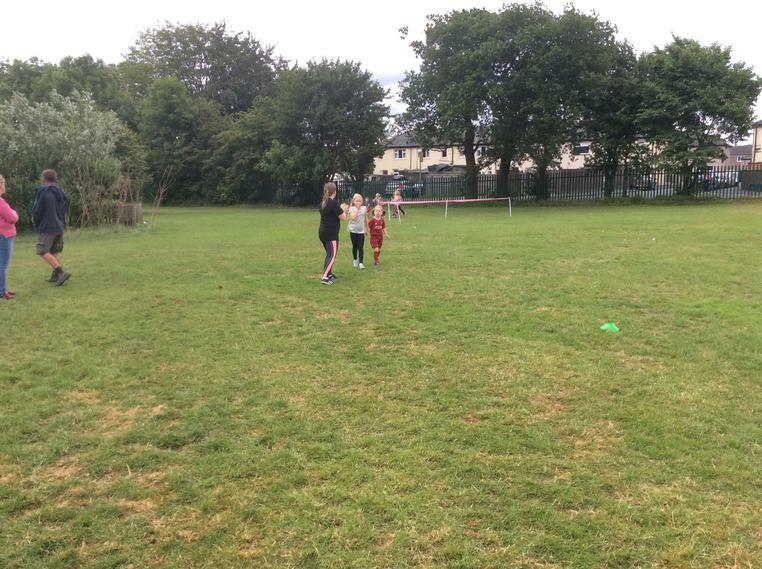 Up next was Jorja, Sophia, Emily and Evie C in the girls obstacle relay. In this race we finished in 3rd place. After that it was time for the hurdle races competing for the girls was Amelia, Evie C, Rylee and Isla L who finished in 3rd place. Before the boys took centre stage with Jake Whittaker running a quick last leg to secure 1st position for the team of Harry, Olly, Jake and Thomas. The fans went wild cheering the boys over the finish line and we had our first win of the evening. The next race was the boys 2 + 1 relay. Jake and Jay faced tough competition from some very quick year 6 runners but didn’t give up and eventually secured a 3rd place finish. In the girls 2+ 1 race Katy and Sophia showed great determination to secure a 2nd place finish behind Rawdon Littlemoor which was met with a loud cheer from both their parents. 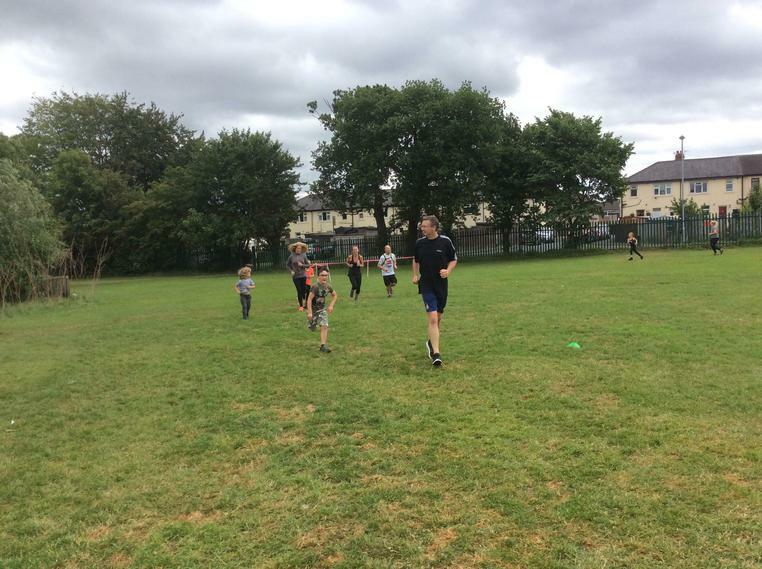 We then moved on to the 2 + 2 relay and in the boys race we were represented by the two quickest members of our team Alex and Thomas W. They blew away their competition and finished in a comfortable 1st position. The fans erupted into applause again and we were proud of their amazing performance. 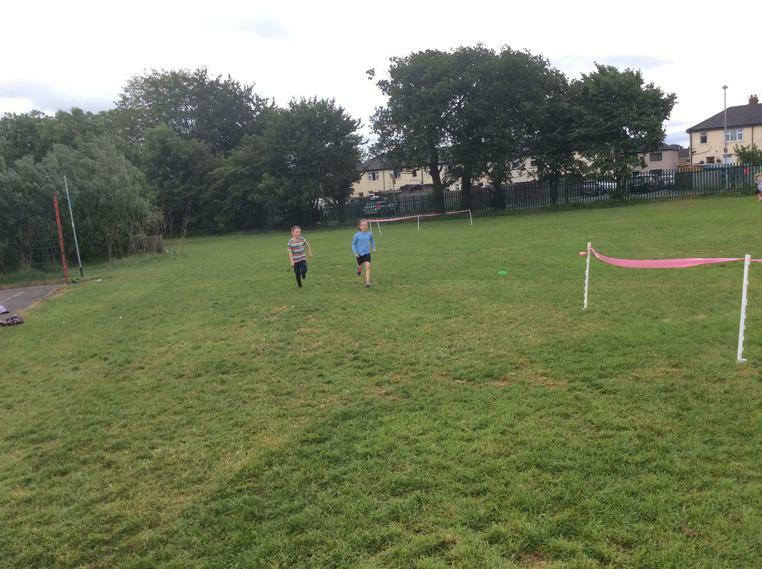 In the girls race Ruby and Lucy faced tough competition from some much taller runners from the other schools. The did us proud and battled their way to 2nd place finish. The next race was perhaps the toughest of the races. 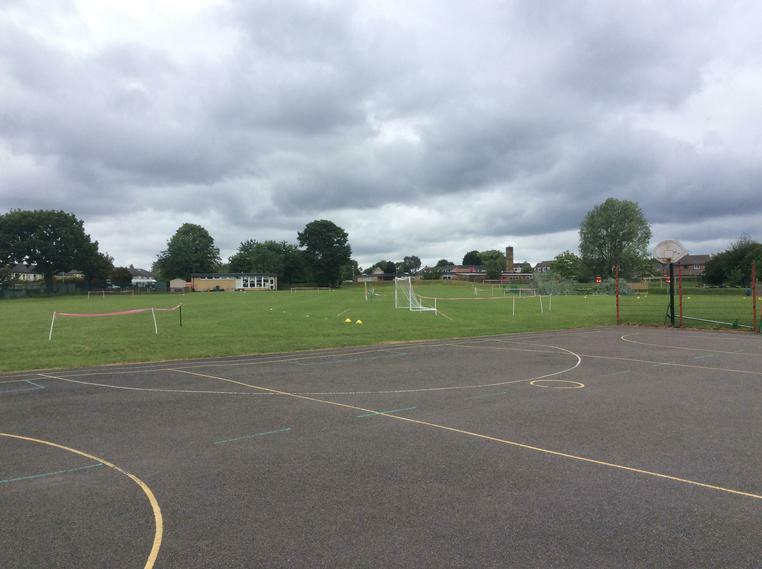 The six lap paarlauf, our athletes had been well trained by Mr Atkinson and Mr Hiley and had decided to use a 1,2,2,1 system. Competing for the boys were Harrison and Thomas who battled their way through the race to finish in 2nd position. In the girls race Lucy and Evie W also secured a 2nd place finish and with only a couple of race left the scoring became tense. As we moved into the final relay races (4 + 1) YWJS needed some strong finishes in an attempt to catch Rawdon Littlemoor. In the boys race Coby, Jay, Harrison and Alex just missed out on first place with a photo finish being given the way of Rawdon Littlemoor. Evie C, Emily, Rylee and Ruby then competed for the girls and secured a 3rd place finish. 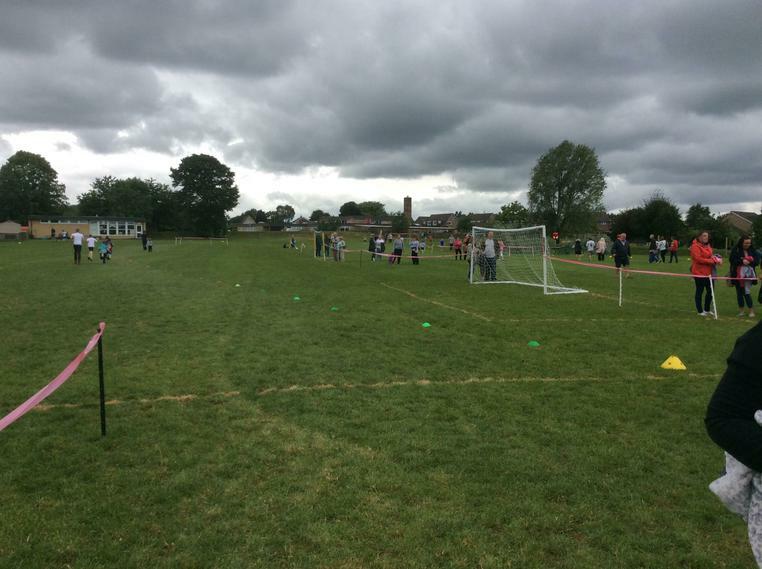 Throughout the event children had been competing in field events and had been scoring high points across the board. As we entered the final event we still had a chance of winning and securing a place in the finals. The final event of the competition was the javelin and taking part for the boys was Olly, Thomas B and Jake who secured a 3rd place finish. 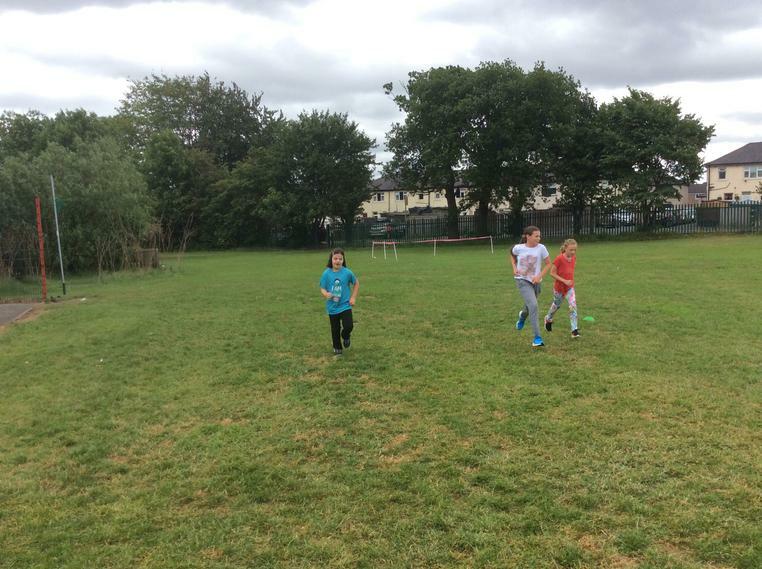 The girls then stepped forward and Isla L, Katy and Sophia looked far from confident. They shocked the competition and sent the fans into rapturous applause as they blew away their competition finishing in 1st place. As we sat waiting for the results you could cut the tension with a knife. Miss Mallinson announced the finishing positions in order and YWJS had narrowly missed out on qualifying for the finals finishing in 2nd place. 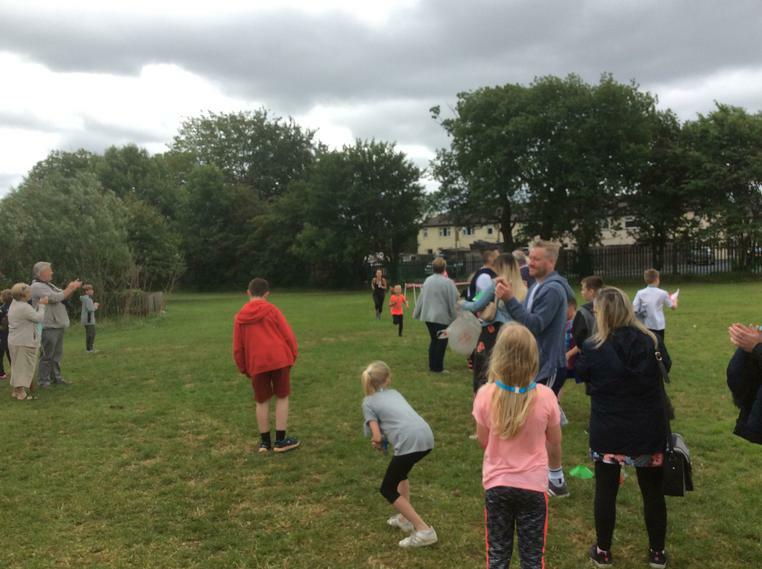 The children had tried their hardest and pushed themselves throughout the event and once again had done the school proud. It was a cloudy day but conditions were perfect for running. 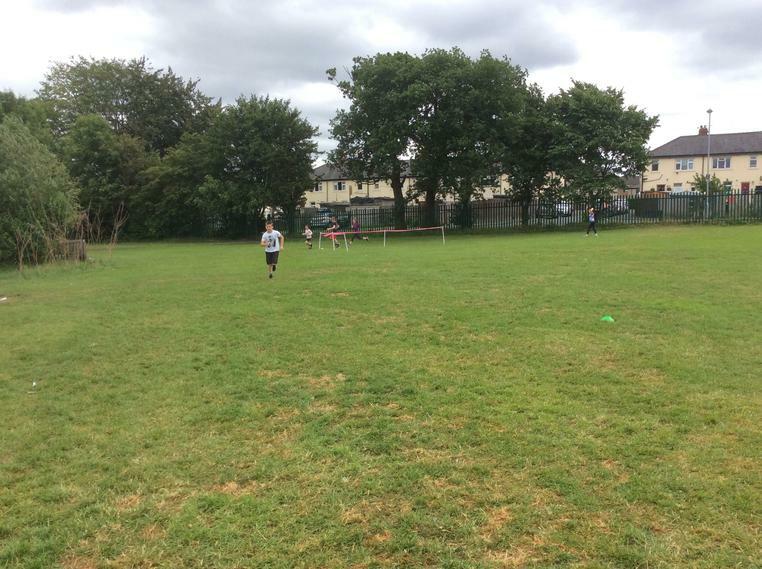 Thirty children from Yeadon Westfield Juniors attended this spectacular event where sixty children ran in each race. 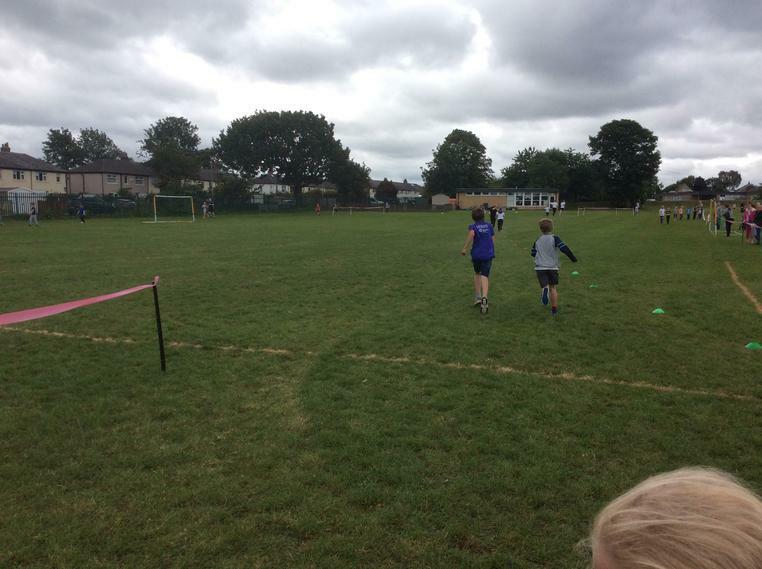 The races were from Year 4 to Year 6 with participants running in separate Boys and Girl races. 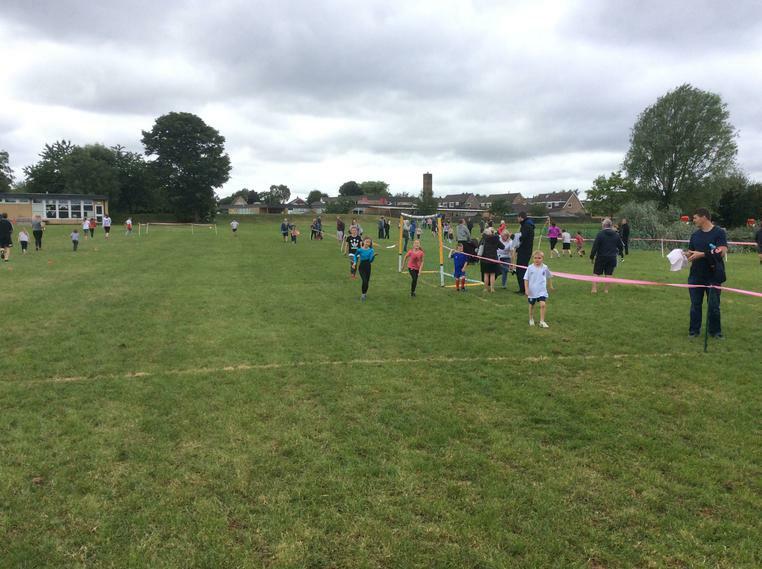 The first races were the year 4 races and Yeadon Westfield Juniors got off to a great start with all 5 girls finishing in the top 20 with a team combined score of 38, the girls team qualified for the finals after finishing in 2nd place. 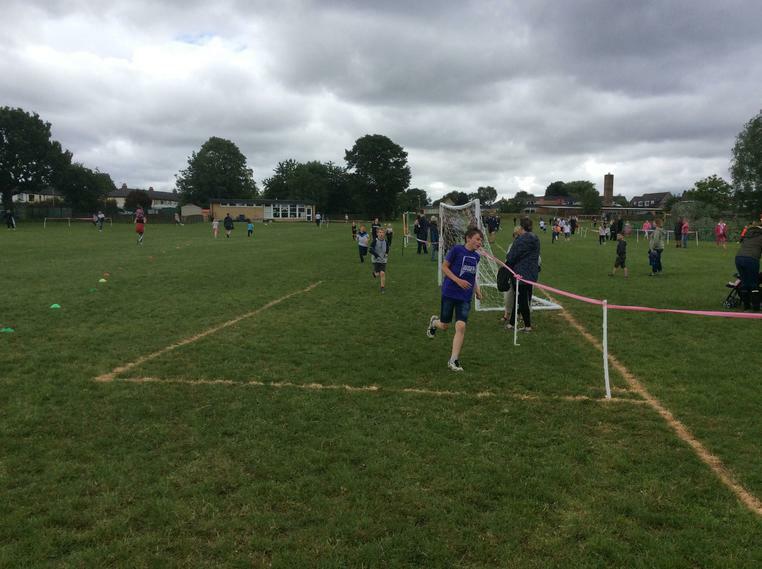 After that race it was the turn of the Year 4 boys and Christopher Ellis set off quickly and at the half way stage was in second place. He then dropped off in the race and our strongest finisher was David Akeroyd who finished in 11th position. The boys team finished with a total of 77 points and qualified for the finals in 4th position. 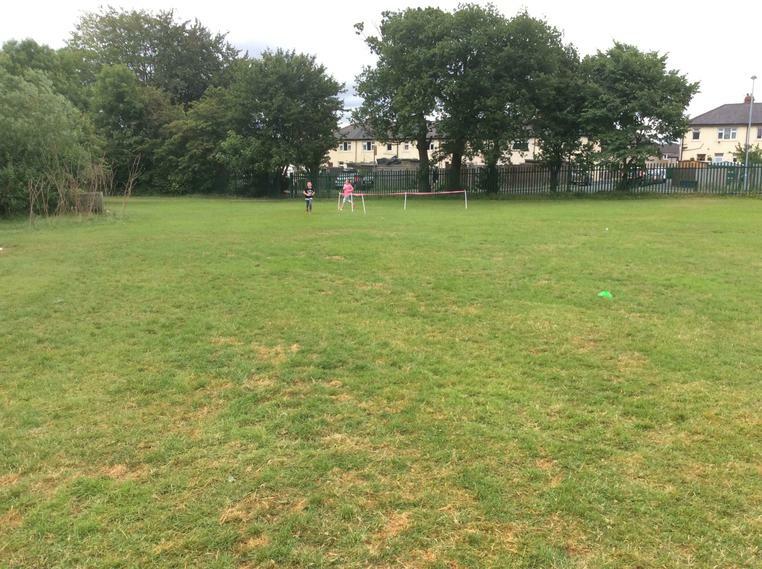 Next was the turn of the year 5 teams from Yeadon Westfield Juniors. The girls once again went first and our strongest finisher was Ruby Whitaker who like David finished in 11th position. Their team score was 74 points which was good enough to finish in 3rd place which means they too are into the finals. After that the boys raced in a very tough race and our strongest finisher was Thomas Briggs in 18th position. The boys scored a total of 108 points which unfortunately means they missed out on qualification to the finals. Finally was the turn of the year of the year 6's. The girls were very fast in a tough race with Evie Woolford securing an impressive 5th position. The team scored a total of 64 points which was good enough to qualify for the finals in 3rd place. In the final race of the day the boys gave 100%. Our best finisher was Thomas Wood in 8th position. The team finished with 108 point which unfortunately wasn't enough to qualify for the finals. 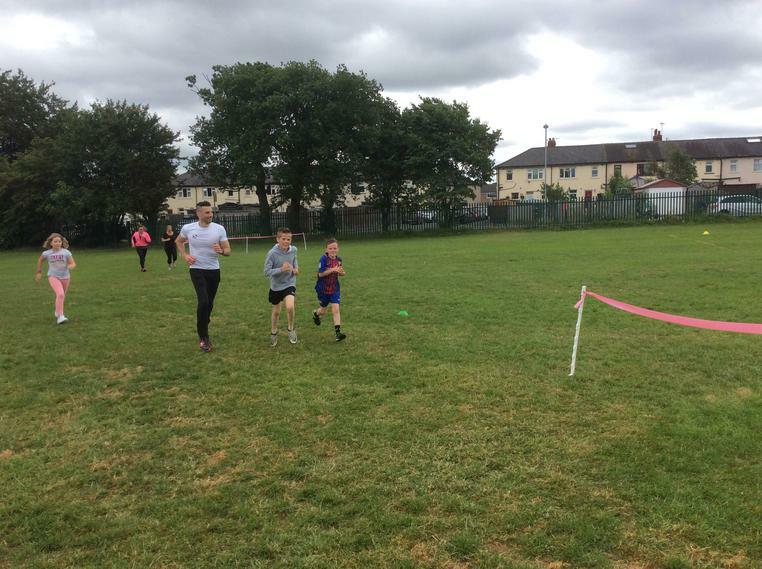 All children gave 100% and were a credit to the school with a memorable performance from Owen Pattison in the year 6 boys race, who made both teachers and students of the school proud to associate with Yeadon Westfield Juniors. Well done to all teams who qualified as well as all the teams who took part!